Who Says Buying is Better than Renting? 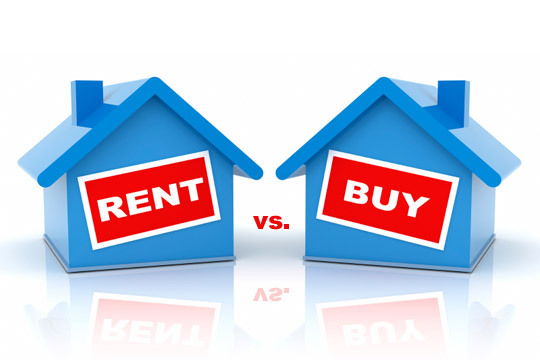 Below is a link to an article stating that buying is cheaper than renting. All of us that invest in rentals pretty much had that figured out. Initially the article sites national numbers that really don't come close to Boise numbers. The article states that within the 100 largest metros, buying is 45% cheaper than renting. Wouldn't that mean owners of rentals would make 45% profit off their rentals? Something is missing on the explanation of this and my fear is that current renters would read this and somehow think they'd be far better off buying instead of renting, which just isn't true for everyone. For tenants considering buying over renting, I like to remind them that there were a lot of buyers in 2005-2008 that wish they would have rented instead of bought. In fact, for those that exited home ownership shortly after words, it would have probably been 45% cheaper for them to have rented instead. I think there are some certain situations where renting makes more sense. 1. Employment: If your employment requires you to move often. Also, what if your job requires you to travel all of the time? It might make sense to rent so that you don't have to worry about the maintenance of the property. 2. Money: I wanted to say that if you don't have money, you shouldn't buy. But then I remember how I got started. I used my VA loan and purchased a duplex with no money down. In two years, I sold it for $40K more and rolled that into two four plexes. So my no money deal lead to tens of thousands of dollars of rents but better yet, hundreds of thousands of dollars of profit. So let’s just hope that the new lender guidelines are helping people make good decisions whether or not to buy instead of continue renting their home. Also, we can only hope that everyone involved in this decision helps explain the hidden costs of home ownership which can be property taxes, insurance, maintenance, and capital improvements. 3. Hassles: Like the example I used above with the road warrior who is rarely home. There are many who flat out prefer to have someone else mow the yard and fix things when they break. 4. Location: In some locations such as the downtown Boise area, it seems to me it is a whole lot cheaper to rent than buy. I had a client look at one of the new Condos. Asking price was $400 per square foot. Rents would be about $2,500 per month, but property taxes were nearly $600 per month, plus $300 per month in HOA dues. So in this case, it was about $600 per month cheaper to rent than buy. The only upside would be appreciation.